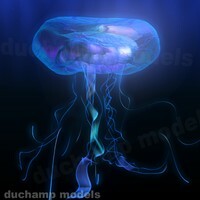 This set of jellyfish models is a part of Sea bottom collection. Jellyfish (also known as jellies or sea jellies) are free-swimming members of the phylum Cnidaria. 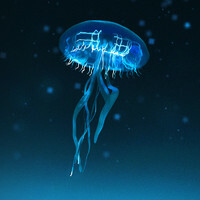 The jellyfish are also called, respectively, scyphomedusae, stauromedusae, cubomedusae, and hydromedusae; medusa is another word for jellyfish. 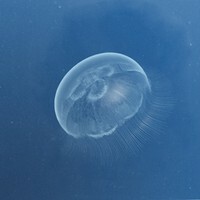 Jellyfish are found in every ocean, from the surface to the deep sea. 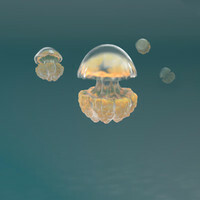 Some hydrozoan jellyfish, or hydromedusae, are also found in fresh water and are less than half an inch in size. They are partially white and clear and do not sting. This article focuses on scyphomedusae. 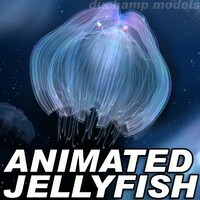 These are the large, often colorful, jellyfish that are common in coastal zones worldwide. 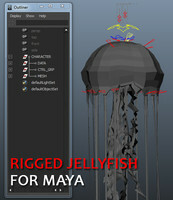 A set of 8 jellyfish 3D models of various shapes, sizes and colors can easily make a perfect visualization. Rendered in Vray. Vray & standart versions.